KEN YUSZKUS/Staff photo. 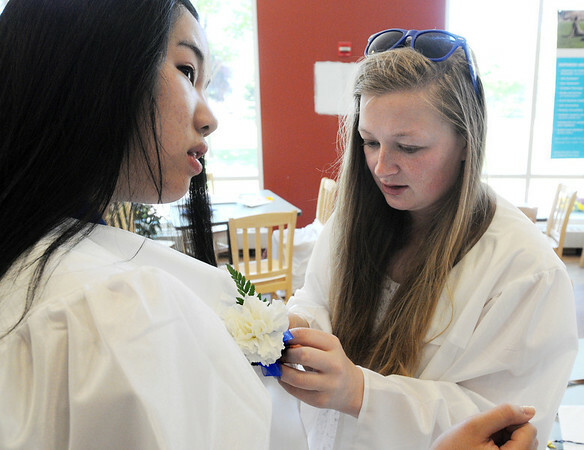 Graduates Theresa Pham, left, has her carnation pinned by Elizabeth Cronan before the processional at the Hamilton Wenham graduation at Gordon College Chapel. 6/1/14.